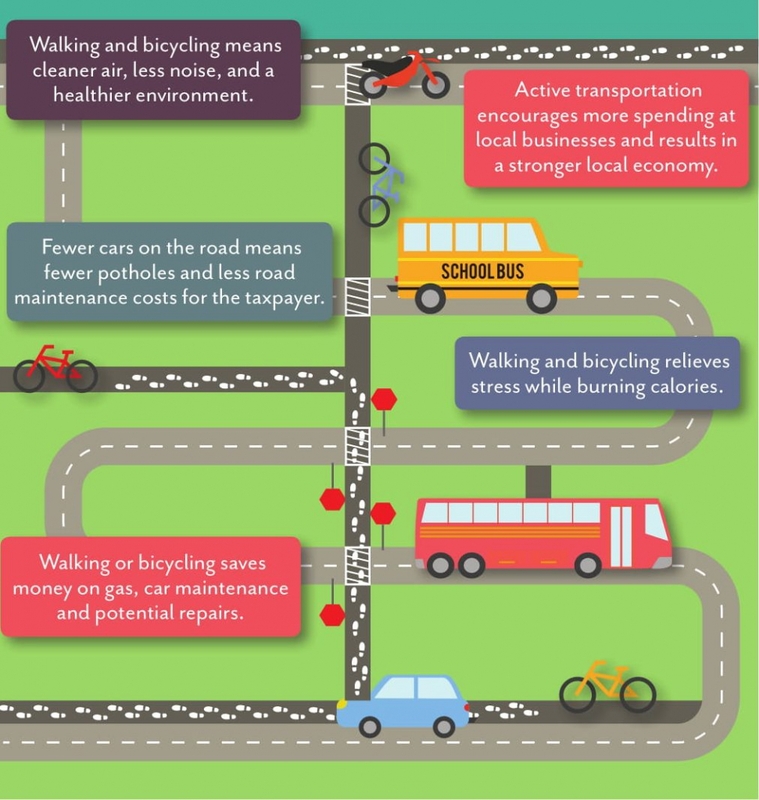 Active transportation – what can you do to help? 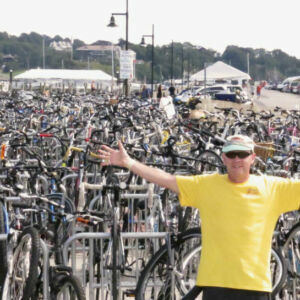 walking and bicycling for transportation, exercise, and recreation in Newport, RI. 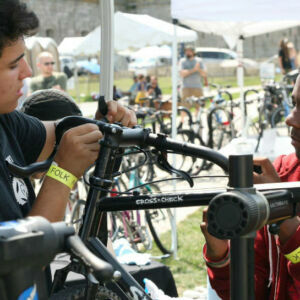 Bike Newport partners with the HEZ to ensure they accomplish their goals. Beyond the physical and emotional health benefits of active transportation, any mode of transportation allows residents to access many health related services and reduces the feeling of isolation and stress. So, what can you do to help? For example, you could drive less, walk or bike more. 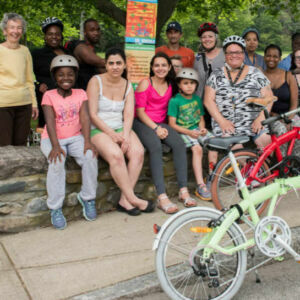 Perhaps organize a walk or bike ride in your community, join a neighborhood association and promote biking and walking, volunteer with Bike Newport and don’t forget you can lobby elected officials to create new/or apply to established funding sources. 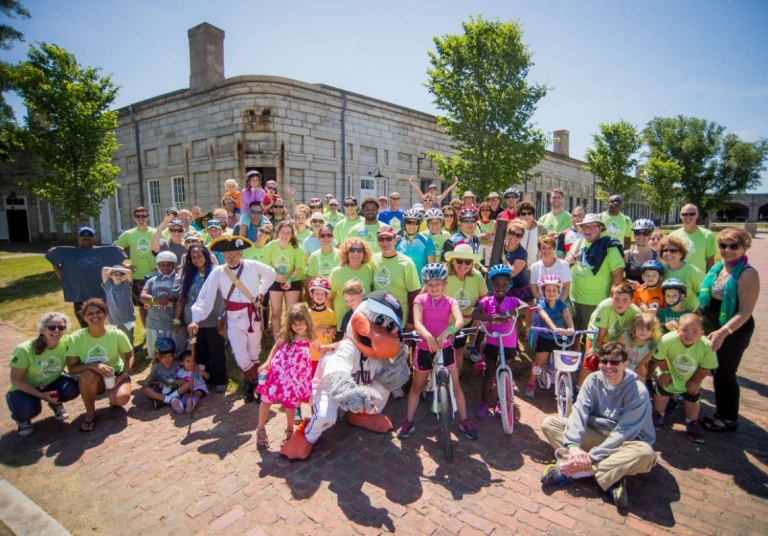 As a private business or a community organization there are many ways to help empower your employees, customers and clients to be more active and help create an equitable, healthy and vibrant Newport. We have leaflets and resources to help you spread the word and encourage those around you to use active transportation. 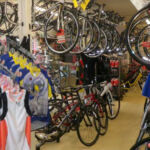 For example you could install a bike rack outside your business to encourage employees and customers to ride more. 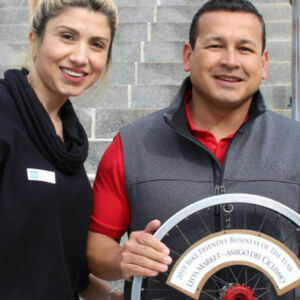 (Find out how here) , take part in Bike To Work Day, have bike friendly facilities in your workplace, like showers and lockers. Perhaps you could offer incentives to employee to bike, walk or take the bus, or partner with schools to promote biking. There always something to do to encourage folks to help create an equitable, healthy and vibrant Newport. 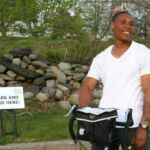 For more information, contact clare@bikenewportri.org or visit The Newport Health Equity Zone or follow them on Facebook.